“What should I charge?” Many small business owners do a lot of hand ringing when grappling with pricing their goods or services. It doesn’t have to be hard. Here are some ideas that may help. First understand that the price you charge is less important than the margin you make. For example, if you spent time to make a million dollar sale and made $2,000 versus spending time to make a $10,000 sale and made $2,000 the latter is clearly a better use of your time. It’s clearly better to focus on your margin strategy than your pricing strategy. The million dollar sale yielded 2% gross profit (margin) and the ten thousand dollar sale yielded 20%. Of course we can’t say that the “price” you charge doesn’t matter. See Make Price-Setting Strategic in a previous blog post (January 2014). But it’s the margin that’s important. Take for instance “Product A” sells for $100 with the cost to the seller of $50. Then take a substitute “Product B” with fewer options but with the same basic functionality and sell it for $75 with the cost to the seller of $25. The margin is the same. 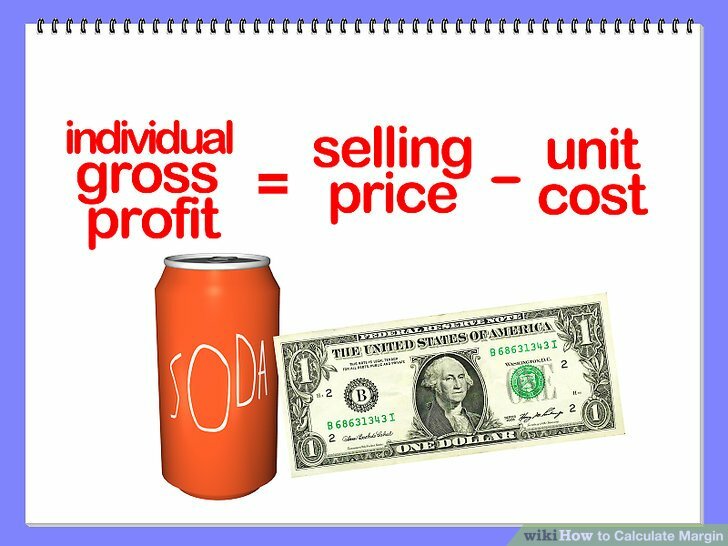 In the above example, the selling price and costs are different and proportional. The margin is identical. The difference to the buyer is that you are offering the same functionality at different price points. You’ve expanding your selling opportunities to two different market segments: the “bells and whistles” segment and the “budget minded” segment. It’s the Cadillac vs Chevy story. Functionally, they’ll both get you from point “A” to “B”. Lesson is, “Price” is for the buyer and “Margin” is for the seller. Avoid haggling with buyers over price by using a “Good, Better, Best” strategy while emphasizing the increasing value of the purchase as you move from Good, to Better, to Best. Regardless of the option the buyer chooses, you’ve made a sale and protected your margin. 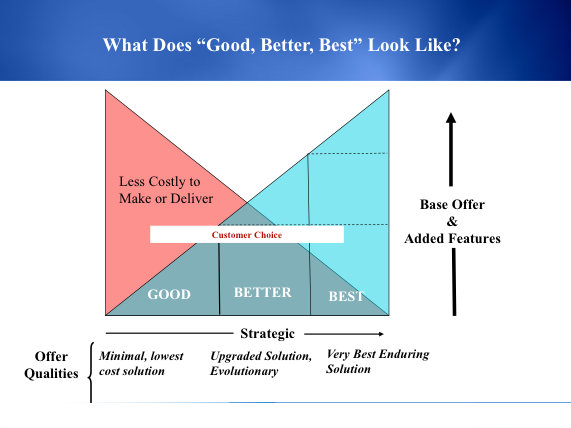 “Good, Better, Best” deals are easy to present by packaging or combining products and/or services differently for each of the three scenarios. A similar but different pricing scenario arises in the airline business that has fixed capacity. 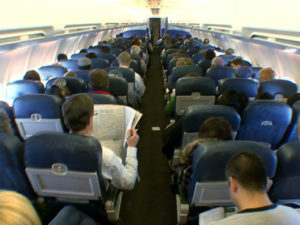 The plane costs the airline carrier the same to fly from point A to B whether or not those last 10 seats are filled. So as departure time draws near, it pays for the airline to sell the 10 open seats for $100 versus their normal fare of $350. Simpler examples of utilization abound for small businesses that require fixed overhead. An owner of a gymnasium might have unsubscribed scheduled activities and so he has unutilized space. He could consider renting that space in the underperforming time slot to a karate instructor. From a financial point of view, “utilization” boils down to how many dollars can the business person earn per square foot. A busy retail space can dramatically increase it’s margins by extending its hours. The only added expense would be overtime and utility costs. Managing margin and utilization is about successful selling. It increases revenue by providing buying choices. Utilizing unused space and time assets brings in added revenue that helps more easily meet your fixed cost obligations. Get started today.